THE ROOTS OF Russian Cosmism lie in the transcendental utopian writings of the 19th-century philosopher Nikolai Fyodorovich Fyodorov, who advocated for, among other things, the exploration of space and a literal overcoming of death. Inextricably tied to the Russian Revolution and the rise of the USSR, Cosmism promoted broad ideals that mirrored the heart of Communism: that humanity should collectively strive to transcend the petty, temporary, and mundane. In practice, however, those whose work fell under the broad Cosmist tent (including everyone from Malevich to the poet Mikhail Gerasimov to Tarkovsky) often found themselves on the wrong side of an increasingly authoritarian state as the 20th century progressed. While Cosmism as a whole is too broad, underground, and decentralized a movement to catalog in the standard sense, the exhibition Art Without Death, currently at HKW Berlin, uses Cosmism more as a lens through which one can view the art, literature, and philosophy of the 19th, 20th, and 21st centuries. The exhibit makes full use of the multiple interior spaces of the HKW, where the need to walk from room to room and level to level lends the exhibit a satisfyingly spacious feel. The bulk of the exhibit, at least spatially, lies in Hall 1, where three fully-constructed, self-contained theaters each play one film from the triptych Immortality for All! by Anton Vidokle. The films use a basic documentary structure but strive for a more poetic, meditative experience, combining long shots of natural and man-made settings in Kazakhstan, Siberia and Moscow with experimental tracks by John Cale and Éliane Radigue. Stretching along one of the large hall’s walls is a fascinating, alternate/hidden-history timeline that places a wildly divergent array of people and events under the broad umbrella of Cosmism. 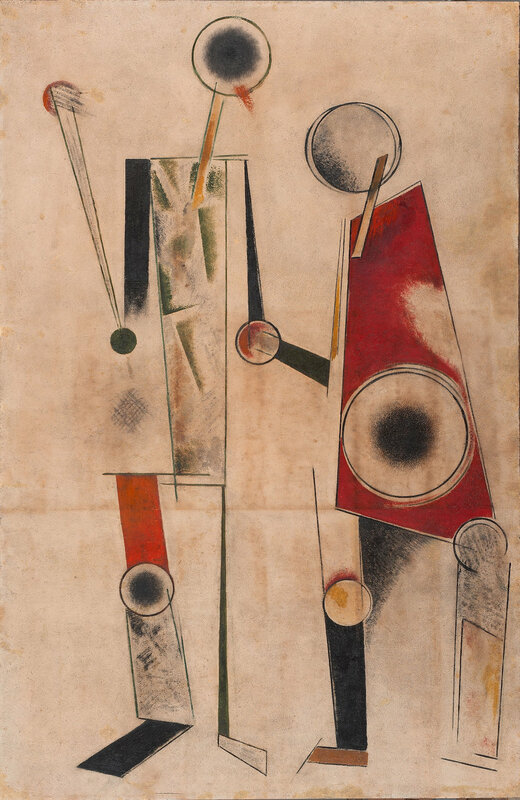 The smaller Hall 2 contains the show Cosmic Imagination: Artists of the Russian Avant-Garde, featuring paintings and prints by a wide range of artists including Alexander Rodchenko, Ivan Kliun, Kliment Redko and Olga Rozanova. The overarching theme of the collection is “the biopolitics of immortality and life in the cosmos”, and the selected works collectively convey a mix of whimsy and darkness that has characterized the Russian avant-garde throughout its history. The building’s central foyer features the large, star-shaped “library” by artist Arseny Zhilyaev, which holds actually-readable books in English, German and Russian, including a healthy selection of Soviet-era science fiction. Between the three films and ample viewing and reading material, give yourself at least a few hours to take in the exhibit - and while you’re there, be sure to wander the different levels and layers of the HKW, a decidedly fascinating and cosmic structure in its own right.